삼성전자가의 갤럭시S5가 해외 전문지들의 엇갈린 평가를 받고 있다. 삼성전자가 24일 스페인 바르셀로나에서 열린 모바일월드콩그래스(MWC)에서 갤럭시S5를 공개했다. 대부분의 IT 전문지들은 “갤럭시 S4와 별 다르지 않은 디자인”에 대해선 낮은 점수를 줬지만, 심박센서와 지문인식 등 새로운 기능에 대해서는 호평했다. 미국 IT전문 매체 씨넷 (CNET)은 “갤럭시S5는 우리가 바라는 만큼 참신하거나 놀랍다기보다는 갤럭시 S라인의 반복에 가깝다”고 평했다. 씨넷은 플라스틱 외관 등 기존 제품에서도 “이미 본 적이 있는” 디자인이라고 평가하면서도, 갤럭시S5에 탑재된 안드로이드 4.4 킷캣을 포함한 핵심 스펙이 강력하다고 호평했다. 뉴욕타임즈는 “삼성이 새해 결심으로 집중을 선택한 것 같다”며 온갖 종류의 소프트웨어 기능으로 꽉 채운 갤럭시S4와 달리 S5는 특정 기능에 집중해 간결함을 내세웠다고 전했다. 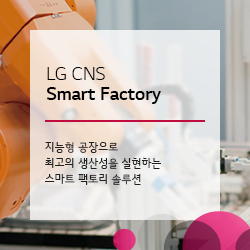 와이어드 매거진은 더 커진 5.1인치 풀HD 화면과 방수 기능에 주목하면서도 “박수 갈채를 받기에 충분한가?”라며 아쉬움을 표했다. IT전문 웹진 지디넷(ZDNet)도 갤럭시 S5가 “강력한 펀치”를 보여준 건 사실이지만 “혁명(revolution)이라기보다는 진화(evolution)”에 가깝다고 평했다. 지디넷은 “애플 기술자들이 이 기능을 먼저 탑재하지 않은 것을 크게 후회하고 있을 것”이라며 삼성이 심혈을 기울인 심박 감지 기능에는 합격점을 줬다. 외신들은 갤럭시 라인의 문제점 중의 하나로 꼽히는 배터리 수명이 향상됐다는 점도 언급했다. Some said it focused on the simplicity, others said it was lacking of innovative changes. Samsung’s latest flagship smartphone Galaxy S5, which was unveiled at the Mobile World Congress in Barcelona, Spain, on Monday, was a letdown for those who expected a much-hyped design makeover, but the key features -– a built-in heart rate sensor and a fingerprint scanner -– were notable, a number of tech news outlets reported. “Galaxy S5 is more an iteration on the Galaxy S line than the fresh, whiz-bang package we’d all come to hope for and even expect,” U.S. tech media website CNET said in an article published Monday. “Galaxy S5 shapes up to be an excellent device that will keep Samsung at or near the top of the smartphone heap,” it said. “It doesn’t feel as though it’s particularly new or exciting, but reading the specification sheet will make any seasoned Galaxy user giddy to their core,” the tech news outlet said. Stressing the advanced technology of the heart-rate sensor, it said that Apple engineers will “kick themselves for not adding the feature sooner” on their device. Media widely took note of the extended battery life, which has long been considered one of the Galaxy line’s flaws. The fingerprint scanner that enables users to make mobile payments and 16-megapixel camera were well received by tech experts and media. “Samsung must have made a New Year’s resolution to stay more focused,” the newspaper said.